Is it me or was the EastEnders theme a tad slow on tonight's episode? Seemed a bit slowed down. Was watching on BBC One Wales HD on Sky. End theme sounded the same to me. Start theme, no idea, as since I got a Freesat PVR to replace the dead YouView one, it always seems to chop the titles off, but only on Eastenders. Hmm, strike that, it's done it on Holby too. Might need to check the recording settings (only they won't show up while something's recording). I think the 'O' animation works really well for trailers, but I don't think it looks right on the ident. I know it could just be because we're used to the swirl, but I think the swirl suits the whole 'circle' theme better and draws it all in. Would be nice to see all the current idents with the new animation 'O' to compare. I agree. I like the 'O' for trailers but perhaps not for idents. Saying that it works on the Strictly ident. BBC1 pres is confusing with several different styles all onscreen. Red swirl was meant to replace the white swirl but the white swirl is still in some idents. Then we have the zooming 'O' as well as some idents played with long form ups before 'BBC One' appears like with the stadium ident. Then we have BBC One inside a circle or outside a circle. It all needs clearing up! 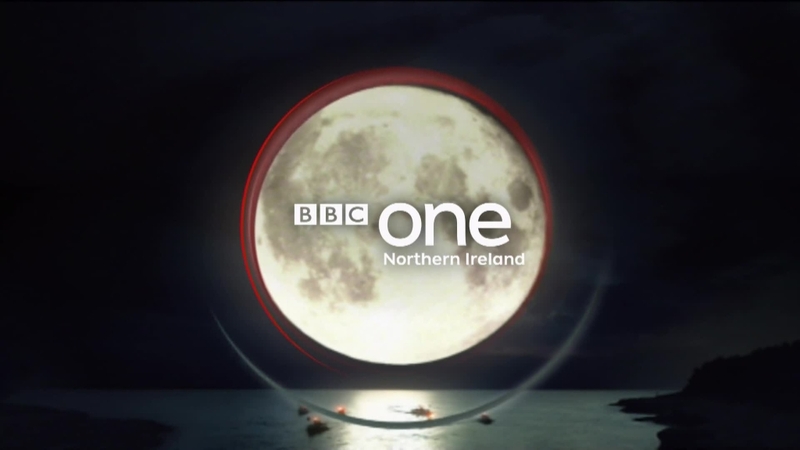 BBC ONE Northern Ireland used the Moon ident after Holby last night. That got me by surprise: I was told that its purpose was as an obit ident. Surprised that Moon got a recent showing on BBC ONE NI. It was retired years ago, in 2008. What's everyone's favourite circle idents now that they're near the 10 year mark? Favourites personally are Kites and Neon. It is an obituary ident of sorts. It's mourning the fact that these idents are a decade old and should be dead by now, but they keep on truckin'. That was what I thought. Celebrating 10 years of the circles being on air, and since Moon was retired early, it just manages to symbolise that's it time to retire it. BBC Parliament's rebranding next Monday will be interesting to see - whether it emulates the logo style of BBC THREE and CBBC or not will have an effect on future branding of the other channels. Contributed onto that thread regarding the inconsistencies of BBC branding and whether it will cause a side effect of rebranding other BBC channels, as it did with BBC THREE and CBBC. Back on topic - I'm optimistic to see what the BBC plans to change within One and Two presentation, because both of them are fundamentally dated and broken to bits. We have an ident set that is aging at a painful scale, while the other has been crippled to bits so much so that the only way to counter it is use 90s idents (and still slightly butcher them in the process). There's still the possibility of Network screwing up, which isn't hard for them to do. Do you think BBC One NI will reintroduce the Windows ident as well? No. Windows was withdrawn because of the flashing lights in the ident. They could slow down the flashing lights.